In a bowl, combine turkey, horseradish, mustard, paprika, pepper and salt; mix well. Shape into four patties. Pan-fry, grill or broil until no longer pink. 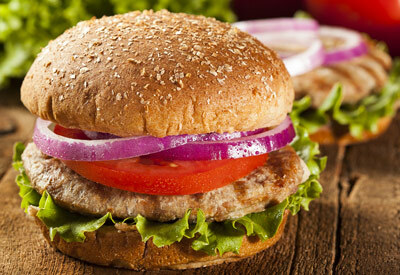 Serve on buns with slices of red onion, tomato and lettuce.